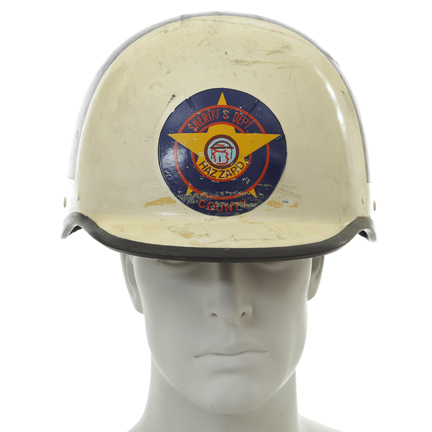 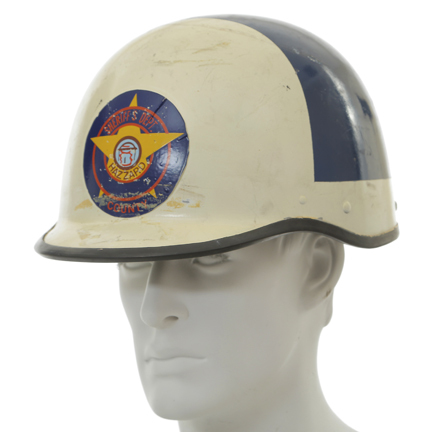 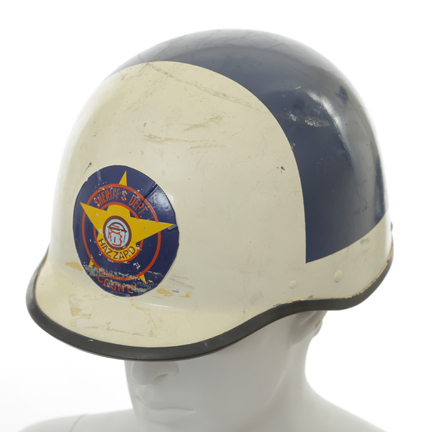 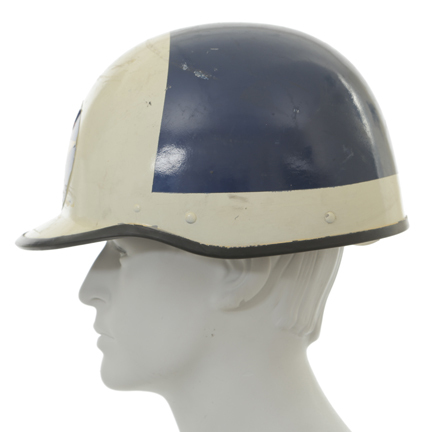 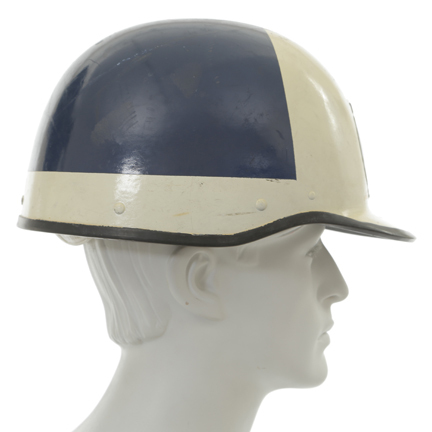 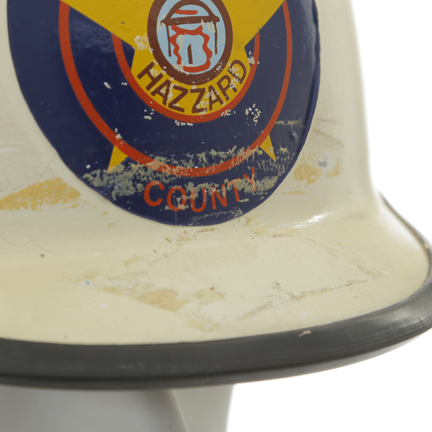 This Hazzard County police helmet was made specifically for James Best as “Sheriff Rosco P. Coltrane” in the hit series “The Dukes of Hazard” (1979-1985). 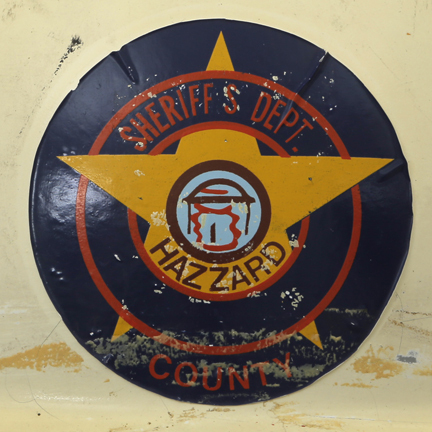 The helmet was hand paint blue and white helmet and bares the Hazzard County Sherriff department logo on the front. 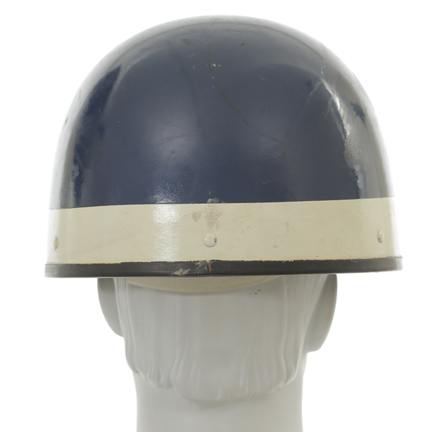 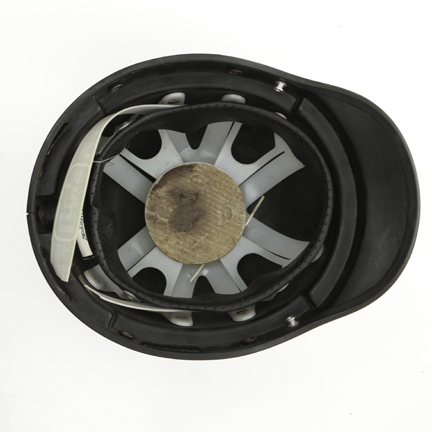 Slight discoloration due to age and tape residue is present on the front visor. 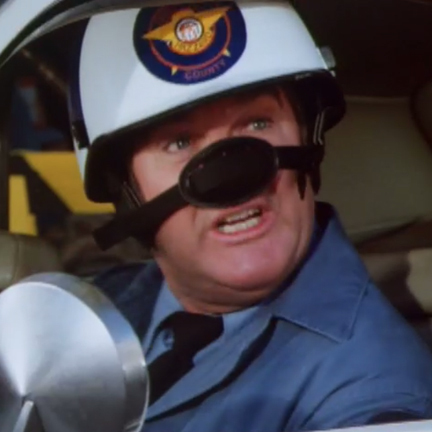 James Best wore the helmet in Season 3 Episode 13 “Duke vs. Duke”, while racing against the Duke brothers during the infamous annual “Hazzard County Road Race”. 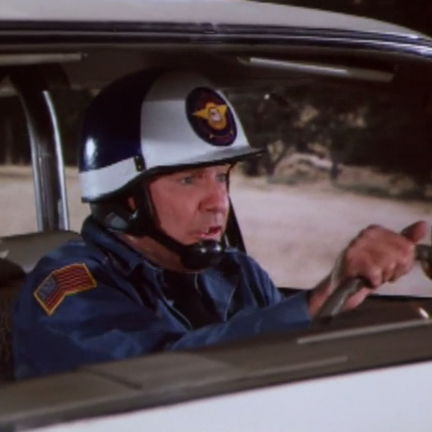 "The Dukes of Hazzard" gained immense popularity during its six-year run and remains a television comedy classic. 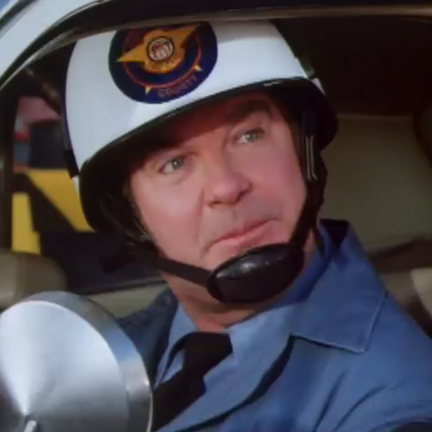 The series ran from 1979 through 1985 and was nominated for an Emmy in 1984 for "Outstanding Individual Achievement" to the show's costumers, Bob Christenson and Hope Slepak.